I wanted to see how far I could take the recipe. There seems to be this craze at the moment for everything red velvet and I was wondering if I could transform my measly no mixer cupcake recipe into the fad that is red velvet. Before I start, let me be honest with you, I’m not really into red velvet. It does taste good, but I don’t get the craze, maybe that’s just me. I must admit though, this recipe is a winner, it’s had rave reviews from red velvet lovers as well as some who just like me don’t get it. I’ve been asked and even begged for the recipe (you know who you are). The recipe development process was fairly easy, I knew the added ingredients to red velvet’s are buttermilk, cocoa powder, red colouring, vinegar and bicarb. So I just fitted those things into my original recipe and there you go! 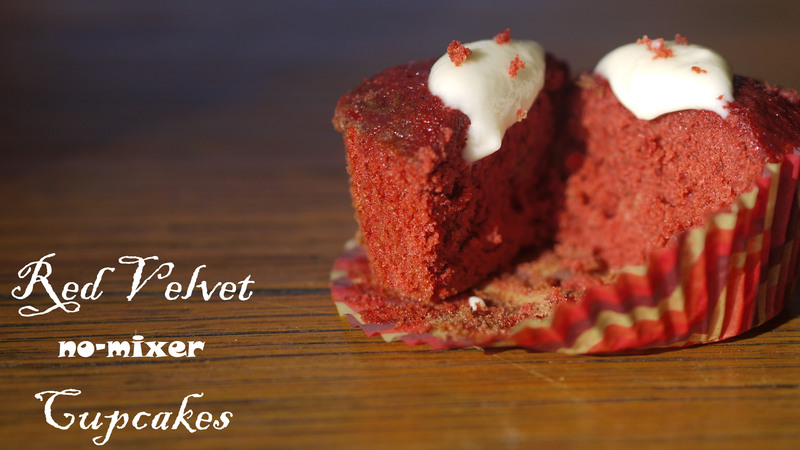 A red velvet no mixer recipe! Who knew it could be so easy. ** here’s a tip, if you don’t have buttermilk lying around (I never do) mix equal parts of yoghurt and milk, for this recipe I mixed 2 tblsp yoghurt with 2 tblsp milk and used all of it. Place all ingredients up until cocoa powder into a processor and blend well. Mix together vinegar and bicarb, and add to mixture. Mix buttermilk and colouring until you achieve a bright red colour, add into processor and mix by hand. 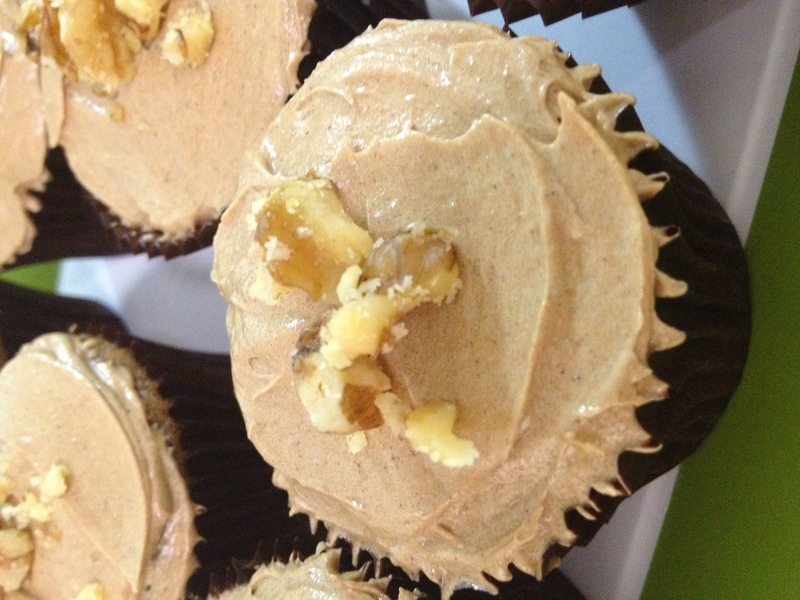 Fill cupcake liners with 1 heaped tablespoon of mixture. Bake for 15-20 minutes, or until skewer comes out clean. Once cool, top with cream cheese glaze (recipe below), and decorate as you wish. Mix together cream cheese, icing sugar and vanilla essence. Add milk until desired consistency is reached, the icing should have the consistency of pancake batter. *Many people aren’t aware, but some red colouring is derived from beetles(cochineal, listed as 120/E120). It is therefore not considered vegetarian, nor is it halaal (insects are not halaal). This form of dye is banned in the USA, but not in Australia. The queen red colouring I use is safe, just in case anyone was wondering. thank you for the info about red colouring!